White Sands National Monument protects a portion of the world's largest gypsum dune field. President Herbert Hoover created White Sands National Monument in 1933. The park's dedication and grand opening was on April 29, 1934. Some plants and animals have adapted to the environment of White Sands National Monument and are almost miraculously able to survive the pressures of the blowing sands. The best time to see the dunes at White Sands National Monument is at sunrise or under the light of a full moon. To do this, you must camp overnight at one of the park's backcountry campsites. The gypsum dunes at White Sands National Monument don't readily covert the sun's energy into heat. Thus, you can walk on them with bare feet even on the hotttest summer days. White Sands National Monument protects an area of 275 square miles in the heart of southern New Mexico's Tularosa Basin. A true natural wonder, the area is characterized by glistening white sands that form wave-like dunes. The dunes, which are comprised of gypsum crystals, are the result of millions of years of years of erosion, evaporation, and wind. Gypsum-rich runoff from the surrounding mountains funneled down to Lake Lucero, where it evaporated due to sun exposure and persistent winds. Left behind was pure, white gypsum that crystallized into minuscule bits of sand. The wind blows the sand into dunes that grow over time, creating a dunefield that is not only beautiful, but also ever-changing. While the White Sands National Monument terrain doesn't seem like a very hospitable place, various plants and animals have adapted and are able to withstand the consistent pressures of the blowing sands. White Sands National Monument is located in south-central New Mexico approximately 52 miles east of Las Cruces and 15 miles west of Alamogordo. The visitor center is conveniently situated along US Highway 70. At times, this road is closed for up to two hours due to missile testing on the adjacent White Sands Missile Range. For those who are interested in flying to the area, the nearest major airport to White Sands National Monument is El Paso International; approximately 90 miles to the south. The hotels in Las Cruces and Alamogordo are good places to start when searching for area lodging. Camping is also a possibility. There are backcountry campsites without facilities within the boundaries of White Sands National Monument. These go quickly when there is a full moon. An alternative to backcountry camping within the park itself is staying at one of the campgrounds in Alamogordo or Las Cruces. While camping at White Sands National Monument is recommended due to the opportunities that it allows for viewing the terrain at night and at sunrise, it isn't the only area lodging option. Campers can also turn to the other regional campgrounds, as well as the area RV parks, that can be found in such places as Alamogordo, Tularosa, Las Cruces, and the Lincoln National Forest. For those who prefer staying at a hotel, both Alamogordo and Las Cruces are ideal places to start. In Alamogordo, the local lodging establishments are mostly clustered along Highway 54 and come in the form of hotels and motels. Most are chain brand establishments. In larger Las Cruces, the hotel choices are similar to those in Alamogordo, in that there is a good mix of hotels and motels to select from. Once again, chain brands reign supreme. For something outside of the chain brand bracket, Las Cruces visitors might try the Hotel Encanto. 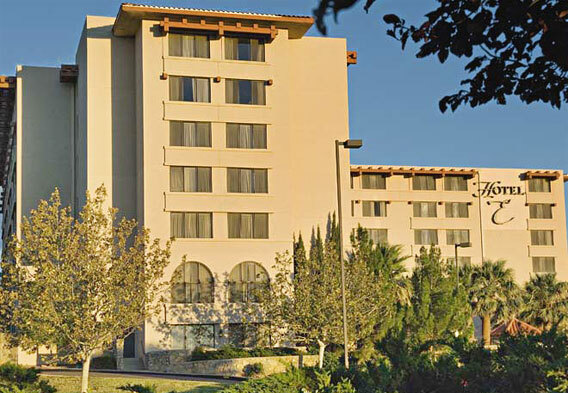 Widely viewed to be the best hotel in Las Cruces, the Hotel Encanto offers Spanish Colonial elegance to go with its wonderful views of the city and the Organ Mountains. A visit to White Sands National Monument can be included on a travel itinerary that features other notable regional attractions. Also found in southern New Mexico are Carlsbad Caverns National Park and Gila Cliff Dwellings National Monument. 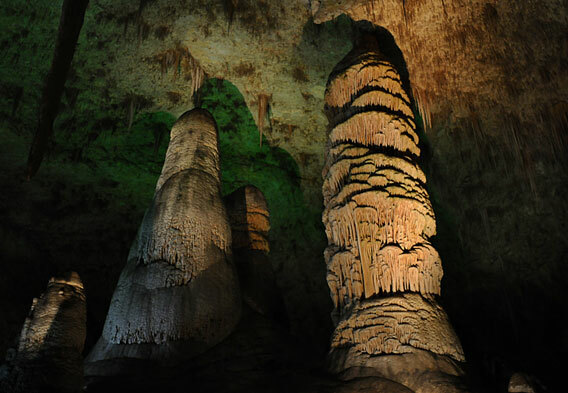 Carlsbad Caverns National Park boasts one of the world's largest and most spectacular cave systems, while Gila Cliff Dwellings National Monument is known for its prehistoric Native American ruins. 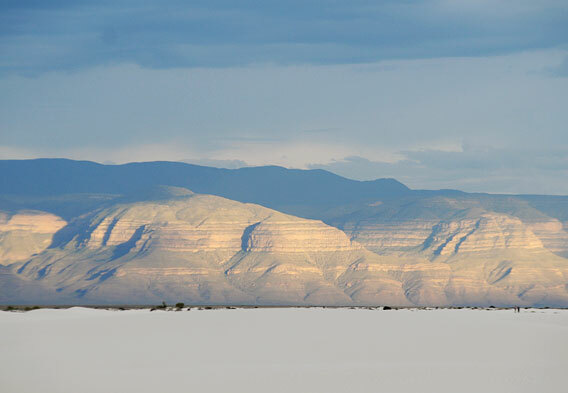 Other ideas for things to do in southern New Mexico include getting some urban exposure in Las Cruces and delving into the realms of the extra-terrestrial in Roswell. Those who wish to expand their Southwest travel agenda even further might also consider drifting over into neighboring Arizona, where Saguaro National Park and a number of other wonders await.